Located in southern Utah, Zion Canyon is one of the nation's best known national parks. The sky is quartz with patterns of blue and brown folded through it. Green marble forms the valley floor. The mountains are red petrified wood and white agate. 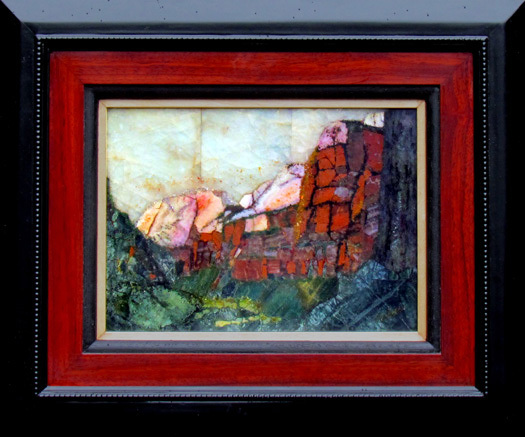 The wood frame is handmade with a mat of Padauk wood which highlights the red within the mountains.